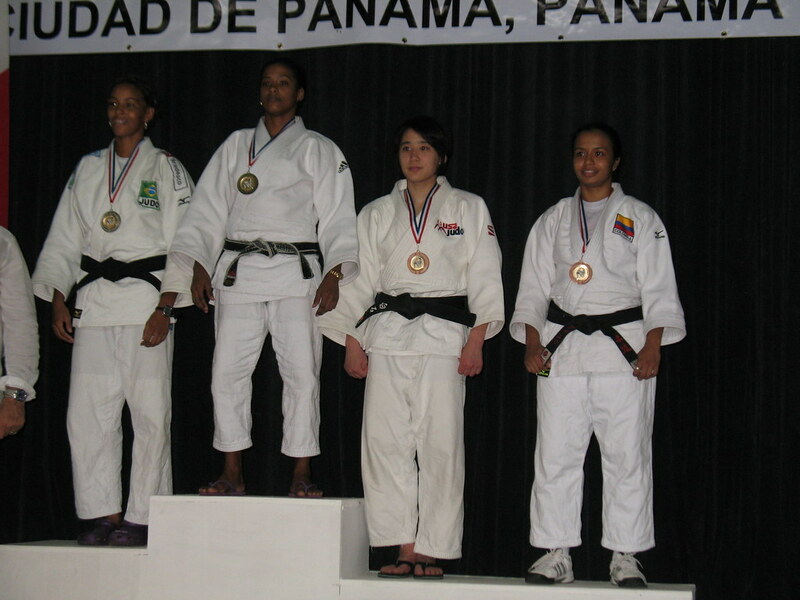 Annie Shiraishi competed at the Pan American Grand Prix on February 27th in Panama City, Panama. Annie represented the dojo and the United States in the women’s 48 kilogram category. In her first match, Annie faced 2-Time World Cup Medalist Taciana Lima from Brazil. She was caught early in the match for some minor scores and while Annie looked to be picking up pace towards the end of the match, she was unable to overcome the deficit she incurred at the beginning of the match. From there, Annie dropped down to the loser’s bracket where she faced Patricia Guidel of El Salvador. Annie quickly pinned Guidel to move to the bronze medal match against Edna Carrillo of Mexico, whom she threw with a beautiful kouchigari for ippon (full point). This was Annie’s first tournament on the Pan American Tour and her win solidified her spot to go to the 2010 Pan American Championships, which will be held in El Salvador in mid April. This will be Annie’s first time at the Pan American Championships and she hopes to do well in order to qualify herself for the 2011 Pan American Games. Annie’s bronze medal performance also solidified her number one ranking going into the Senior Nationals which will be held the first weekend of May in Myrtle Beach, North Carolina. The number one ranked athlete in the country is guaranteed a spot on the 2010 World Championships Team which will be held from September 9-13 in Tokyo, Japan.